Many board papers leap straight from the recommendation to a background section, so these questions are not answered immediately. Instead writers discuss things such as the current situation and historical information. Much simpler if directors learnt upfront why the writer was making the recommendation. Then they could read the rest of the paper to understand the writer’s reasoning and identify unanswered questions. Even if a board paper template has a summary section, many writers don’t use it well: they either copy and paste material from the body of the paper or treat it as an introduction. 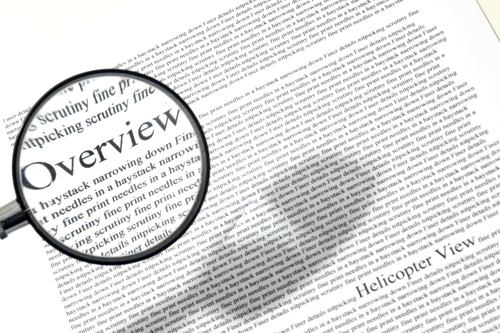 One of the reasons why writers find board paper summaries difficult is that when they’re confronted with the heading ‘summary’, they think about the traditional type of executive summary that is often a page in length. They think the summary must be ‘weighty’ and worry that this will make their paper repetitive. 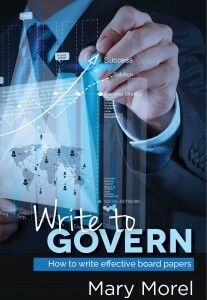 They’re right: their writing would be repetitive if they wrote a traditional executive summary. In a decision-making paper, the recommendation and summary work in tandem. The recommendation is the ‘what’ and the summary answers the ‘why’ questions and flags any issues the directors should be aware of as they read the paper. Since the recommendation and summary work in tandem, the writer does not need to repeat all the information in the recommendation. A board paper summary can is much shorter than the traditional summary – often two or three paragraphs or even a few bullet points. I recommend writing a summary in a board paper first, not last, because writing a summary first helps you clarify your key messages. The summary then lays the foundation for the structure of the rest of the paper. You may need to refine it when you write your final draft. By the time you’re asked to write a board paper, you will have your preferred planning method. When I ask people how they plan, many treat their first draft as a plan, some jot down ideas on paper or post-it notes and a few plan thoroughly using mind-mapping or storylining. What are the strategic implications of this recommendation? What are the financial implications? Has this recommendation been budgeted for? What are the long-term consequences? What are the benefits of this recommendation? What are the risks and how will they be managed? Joseph M. Williams and Gregory G. Colomb (The Craft of Argument, Pearson Longman, 2007) suggest developing an argument based on claims, reasons and evidence. I believe X because… based on Y. Although you are not going to use the first person singular when you write a board paper, you may find that phrase useful to tease out your thinking. How do you approach writing a summary in a decision-making board paper? 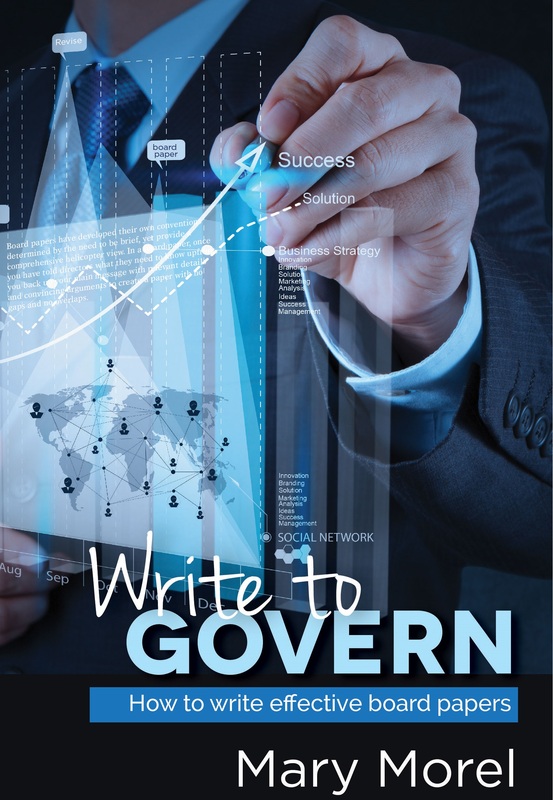 Subscribe to my Write to Govern blogs and receive an email when there’s a new post.